The record for overtimes in an NBA playoff game is four; in a regular-season game, it's six. But when the Indianapolis Olympians and Rochester Royals hooked up for a four-hour contest, the final was only 75-71; the game pre-dated the introduction of a shot clock. When Kotaku commenter Frox and the Boston Celtics played a six-OT Game Three against the Lakers in the NBA Finals for NBA 2K11, he set all sorts of marks that would have broken playoff records in real life. As it is, it got him one step closer to an NBA title and a visit with President Obama. "I'm not a crappy player for this to go into six overtimes," Frox insists. "It's just this particular game was really weird." Paul Pierce hit leaning buzzer-beater to send the game into its first overtime. Over the next five extra periods the teams would rack up a score of 72-65, almost enough to beat the Olympians and Royals' final by itself. The real theatrics picked up in the fifth overtime, with Boston trailing by one and Rajon Rondo shooting two free throws with 0.3 left. He hit the first to tie it and clanged the second to send it to a sixth OT. 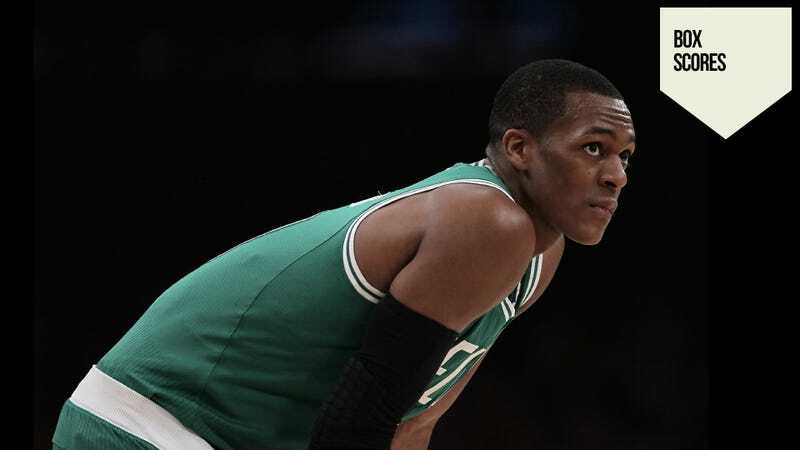 "Rondo finished with a quadruple double," writes Frox: "30 points, 11 rebounds, 29 assists and 14 turnovers." Ah ... yeah. That's not how it works. In the sixth overtime, the Celtics finished off the Lakers with a 9-0 run and would go on to win the series in seven. Ray Allen contributed 55 points and Kobe Bryant's 79 would have easily beaten Michael Jordan's 63 against the Celts (which you may recreate in The Jordan Challenge) for a playoff record. Here's the box score. Remember, all you have to do to get yourself featured in Box Scores' Game of the Week is take a picture of whatever sports video game been playing - crappy cell picture will do - write up a couple sentences about why it was so compelling, and email it to me, owenATkotakuDOTcom, with "Box Scores" in the subject header. Be sure to include include your commenter page URL so I can properly credit the entry. The Americans take on Japan in the final of the Women's World Cup, live from Frankfurt at 2 p.m. on ESPN, tomorrow. Bring it home, ladies! Tonight, Real Madrid will play the Los Angeles Galaxy in the World Football Challenge on ESPN2 at 10. The British Open's third and final rounds are today and tomorrow on ESPN, already underway now, and teeing off at 6 a.m. tomorrow. The leader as of this writing is Darren Clarke, a one shot advantage at four-under for the tournament. Today at 4 p.m. Fox will have either the Phillies at Mets, Red Sox at Rays, White Sox at Tigers, or Angels at A's. Tomorrow, TBS supplies Phillies-Mets at 1; WGN has the ChiSox-Tigers at 1; and ESPN's Game of the Week is Red Sox-Rays at 8. The Tour de France is on Versus, live, beginning at 8 a.m. NASCAR's Lenox Industrial Tools 301 runs on TNT at 1 p.m. tomorrow.